The SX7 has powerful music with 50×2 watts of music output. It comes with two high-quality speakers, each 14.5×24.5×22.5cm, so the system can easily fill your living room with stereo music. By restoring the high-range sound lost in the compression process, DSEE HX produces your digital music files in rich, natural sound, closer to the quality of the original recording. What makes using the SX7 more fun is its Wi-Fi and builtin Chromecast functions. You can then use the Music Center app to play the same songs or different songs to the SX7 or other speaker models that support this technology. 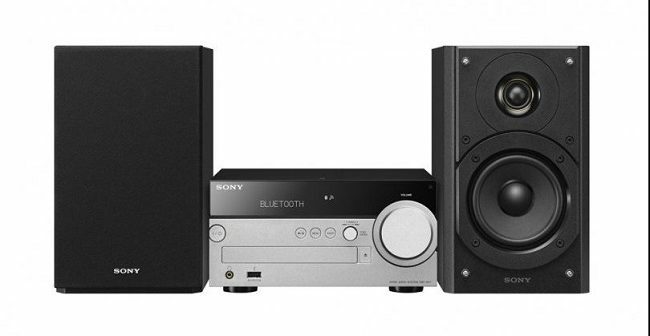 You can also stream music from different music services, a PC or your DLNA network to these group speakers. You can set up your own music server, using either Apple’s iTune or Sony’s Media Go, and use the Music Center to play music from your server to the SX7. To link the SX7 to your home Wi-Fi router, there are three ways to do it. The easiest way is to use the remote to activate the WPS (Wi-Fi Protected Setup) and then press the WPS button of your router, and the Wi-Fi connection will be established. Once the Wi-Fi connection is done, you can enjoy the AirPlay function, Chromecast function, and DLNA music streaming and multiroom music function. During the test, I enjoyed playing Hi-Res Audio format of FLAC 24bit/192kHz stored on a thumb drive. The music had clarity, good detail and powerful bass. Streaming Hi-Res Audio songs from Sony NWA25 Walkman, using LDAC Bluetooth connection also resulted in good-quality music. I also used the Chromecast function by casting from Sony’s Music app on a Sony Xperia XZ Premium to the SX7 without any problem. The music sounded good. I tried streaming from an iPad and Macbook Pro using iTune and AirPlay. The music control was easy and the music quality sounded great as well. I could also play music on my notebook computer using the Windows Media Player to stream the music to the SX7 and the sound quality was great.